The rest of the world seems to have finally discovered what we’ve known all along: Peruvian cuisine rocks! 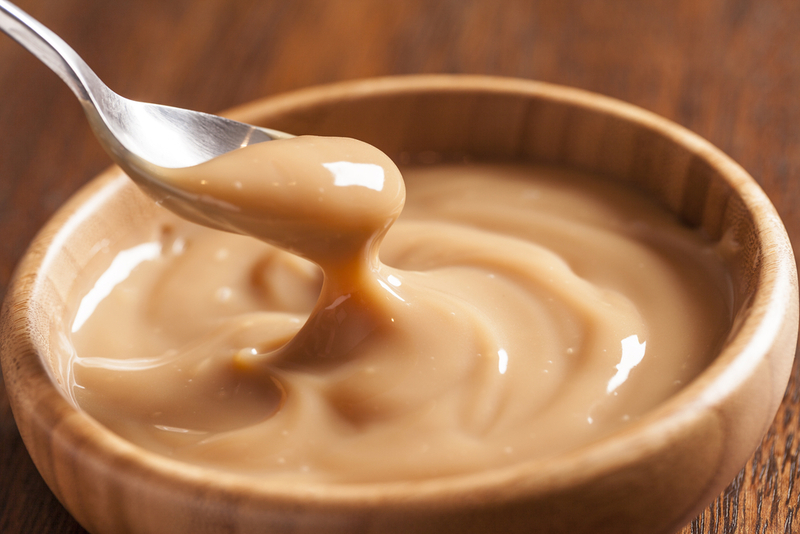 When it comes to variety, complexity in tastes and sheer deliciousness, there are very few that compare. Not just in South America, mind you, but anywhere. Those who indulge on a South America tour with a comprehensive, multi-country itinerary, will undoubtedly return home with fond memories of meals enjoyed in Peru. From prawn ceviche savoured from an unassuming beachside eatery in Mancora, to a serving of melt-in-your-mouth suckling goat at Astrid y Gastón – a Peruvian epicurean mecca recently named one of the world’s best restaurants – Peruvian culinary highlights are as rewarding as her natural and historical ones. Astrid y Gaston. Photo Credit: The World’s 50 Best. With her fair share of celebrity chefs, international award-winning restaurants and totally unknown holes-in-the-wall, which serve up authentic and delectable fare, Peru offers visitors incredible options for culinary splurges. To be honest, one could seriously skip all the historical stuff and simply feast one’s way through the country instead, and still go home satisfied and utterly rewarded. I wouldn’t endorse such foolishness, of course, because who in their right mind would travel all the way to Peru and not tour Machu Picchu? But if you wanted to spend a couple of weeks driving about this gorgeous country, making foodie delights the daily priority, I’m just saying I’d sacrifice myself and be your tour guide, that’s all. 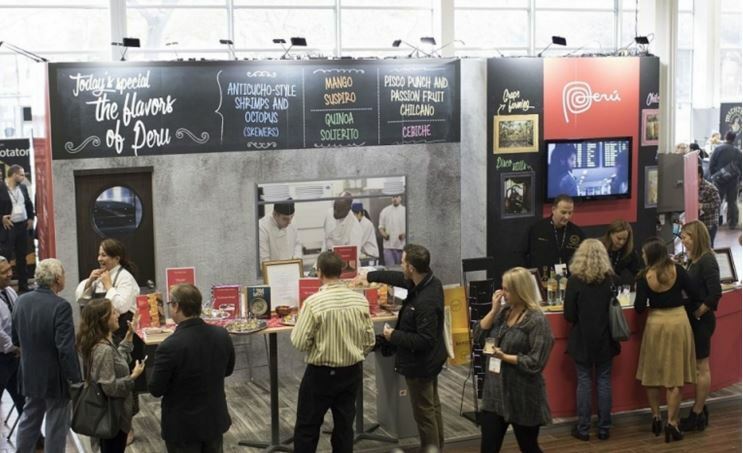 Peruvian cuisine shined at the International Chef’s Congress in New York. Photo Credit: Andina/Difusion. 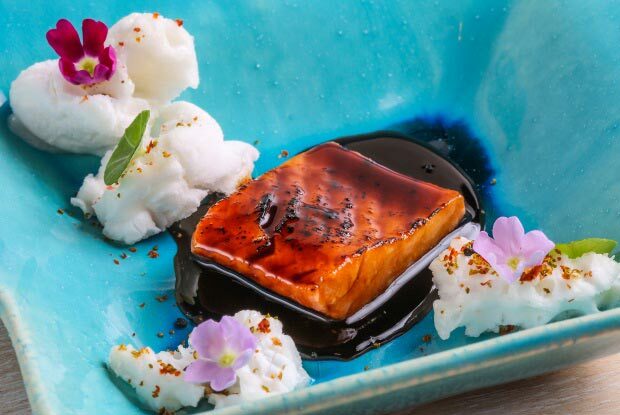 By the Time San Pellegrino published its list of The World’s 50 Best Restaurants and included Lima’s Astrid y Gaston at number 14, the international spotlight on Peruvian cuisine was well and truly shining brightly. 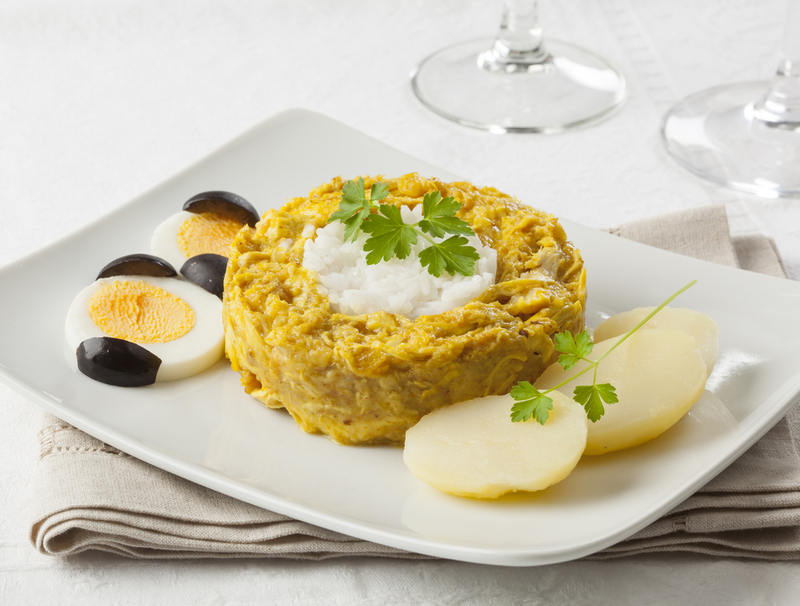 In October 2015, at the International Chef’s Congress in New York, Peruvian cuisine shined. Consider this the Oscars of food, the Arias of taste bud delights, the most coveted ‘gastronomic symposium’ of the year. And Peru stole the show. With her crispy and refreshing Pisco, her eye-watering shrimp and artichoke ceviche, not to mention her delectable aji de gallina served on Parmesan baskets, Peru left all other food stands to salivate on the spot. Recognition of Peru’s incredible cuisine is not only based on authentic and age-old recipes, but also on the premier produce grown, harvested and fished in-country. At the end of the day, there’s actually a whole lot more to this incredible culinary world than ceviche, Pisco, quinoa salad and potatoes (all 4,000 varieties of them) although many travellers on a tour of Peru won’t even know where to start exploring further. One could start in the UK, of course, where London’s Best Peruvian Restaurants are building up a healthy cult following. Or perhaps dabble in the USA, where Peruvian-food-mania seems to have captivated New York City like no fancy taco stand ever could. There’s even a small New Jersey community of Peruvian immigrants who have opened up 25 restaurants, delicatessens and chicken rotisseries…and the Yanks still can’t get enough of the stuff. Then there’s always Australia, about as geographically distant from Peru as one could be, and the one which shows its love for all things Inca-themed and flavoured, in fervent fashion. Melbourne is the latest to fall under Peruvian culinary spell. Or maybe…you could just visit Peru. Fancy a culinary tour of one of the most exciting and delectable countries in all of South America? Bet you do! I’ll just pack my bags and be right with you. From blink-and-you’ll-miss-it street stalls to some of the country’s most celebrate eateries, here’s our list of the best places to indulge in delectable Peruvian cuisine… right where it all started. Avenida La Mar, Lima – More than just a ‘vibrant food street’ in Lima, Avenida La Mar in Miraflores is a bonafide ceviche central. Traditionally, ceviche is only eaten at lunchtime in Peru and some of the best restaurants along this strip keep the tradition alive by only opening their doors between 12pm and 5pm. Head on over in the middle of the day, mingle with the crowds and catapult yourself into the first (and second and third perhaps) joint that catches your fancy. Don’t worry, ceviche is affordable and light on the waistline: having seconds and thirds is no sin. You’re absolved. The homonymous La Mar Restaurant is regarded as the best cevicheria in the whole city, so if you’re tight on time and must delight in the best RIGHT NOW, then waste no tiempo and head here pronto! 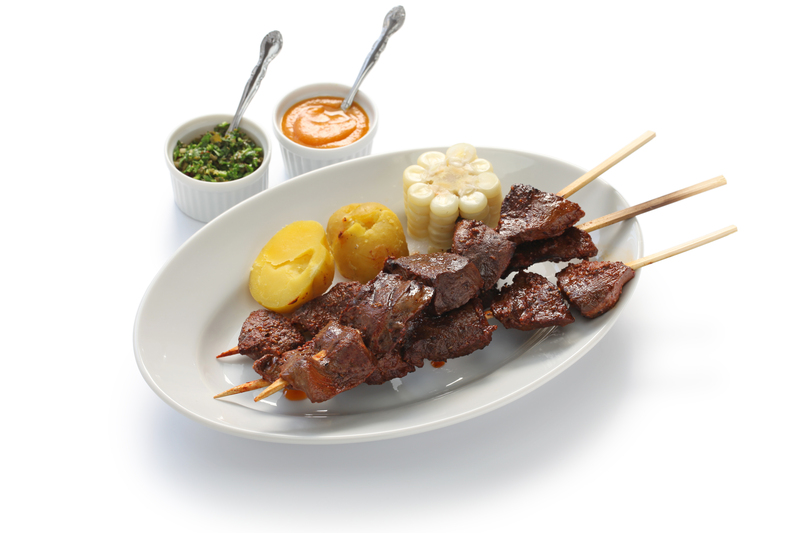 Grimanesa Vargas, Lima – Gobbling up skewer upon skewer of anticuchos, or charcoaled beef hearts, is not for the faint-hearted (pun intended) but when a smiling Peruvian grill-mistress makes it taste this divine…we’ll help you toughen up. San Pedro Market Stalls, Cusco – Step foot into the cosmos that is the San Pedro Markets in Cusco and you may soon forget all about food. Well, only if you see the donkeys’ head for sale, that is. This weird and wonderful world of gastronomic knick-knacks (we assume the donkey’s head is for decorative purposes only) is one of the most eye-popping ‘food-related’ experiences you can have in the whole country. Mound after mound of colourful grilled corn, loaves of bread big enough to feed a small country, jars of pickled snakes, buckets of snouts (don’t ask) and even dehydrated grilled guinea pigs that apparently last for weeks! After your eyes have had their fill, it’s time to dive straight in. The fresh fruit juice stalls are particularly excellent and will boost your vitamin levels with a variety of concoctions of exotic fruits –whichever mix you choose, I recommend you add the passionfruit, it’s to die for – and don’t leave without grabbing a bag full of addictive dulce de leche pastries. If you’re a time-savvy world traveller and wish to combine culture and food appreciation in one hit, then this is the place for you. Sabor Caymeño, Arequipa – Arequipa is one of my very favourite cities in Peru. Between the stunning scenic backdrop of snow-peaked mountains, the gorgeous Santa Catalina Monastery and the resplendent Plaza de Armas, I couldn’t be the only one who thinks this is Peru at her prettiest. Plus, there’s a lot of good food here, which is arguably what endeared the city to me at first ‘bite’. Sabor Caymeño is a great little place just 3kms north of the main plaza, with an unassuming doorway and sign that looks like it was written by a 5-year-old. I love it. Almost as much as I absolutely love the adobo that’s served here. Perhaps the best picanteria in all of Arequipa, Sabor Caymeño proudly retains the tradition of spicy and hearty Arequipeña food, something about which the locals are exuberantly passionate. Adobo is a tear-inducing pork stew cooked for an eternity in corn beer (chicha), infused with cinnamon, clove, onions and an illegal (surely) amount of chillies. With a hearty chunk of crusty bread on the side to soak up the sauce, this is hearty mountain food Utopia. A genuine, no-fuss eatery that’s just ideal for those who want the full Peruvian cuisine experience, minus any of the bling. 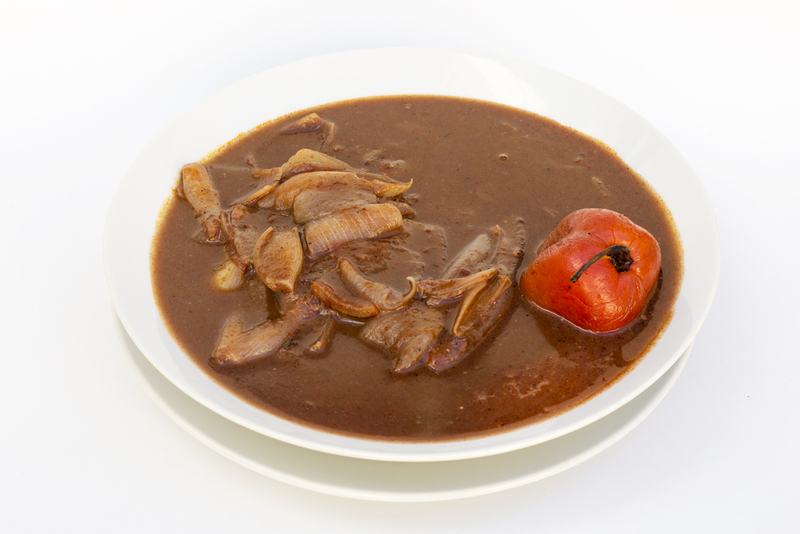 Adobo, a pork stew cooked in corn beer. Whether you’re heading here to Discover the Hidden Treasures of Northern Peru, or perhaps you want to try your hand at Riding the World’s Longest Wave in Chicama, an all-encompassing tour of Peru is one of the best, yummiest and most enlightening trips you could take. Let us help you create a unique itinerary that includes all of Peru’s most incredible highlights and we’ll make sure that the culinary delights for which this country is becoming so popular, will be part and parcel of your tour of Peru. Best you head here hungry.